It’s another attic find. We have discovered this vintage Soviet time vase on the attic of our old home. It’s a large size glass vase back from Soviet times. It did not look good as it was, so I decided to paint and decoupage it. It’s amazing how sometimes things can direct your inspiration. First I repainted the vase into white with acrylic paint. I planned to use a pretty rosebud napkin pattern for it. 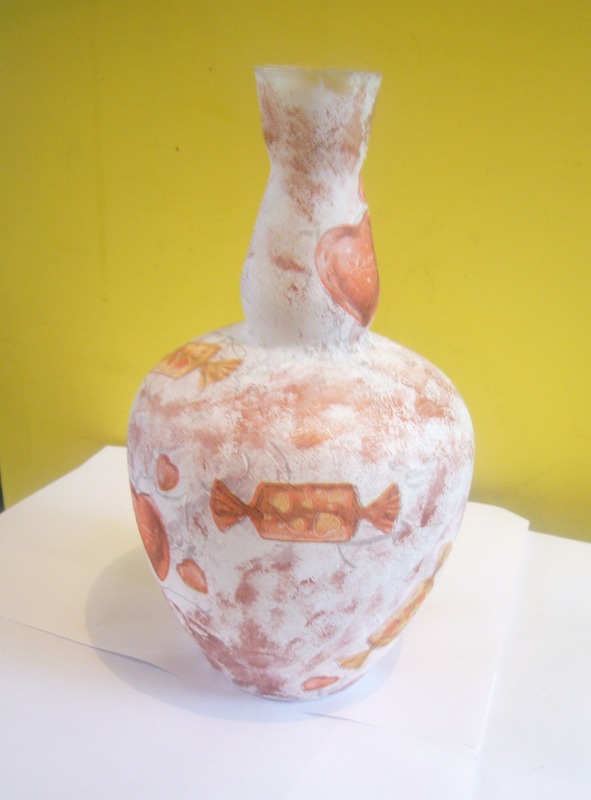 But once it dried up, it almost seemed like the vase changed it mind and decided to be painted with copper red and candy and heart print on it. It was so sudden. I never thought of such design. But it turned out cool and very fitting for the Valentine day season. So, now it make a great Valentine day gift. Check out my Etsy store RECYCLEDCRAFTING for more gift ideas. 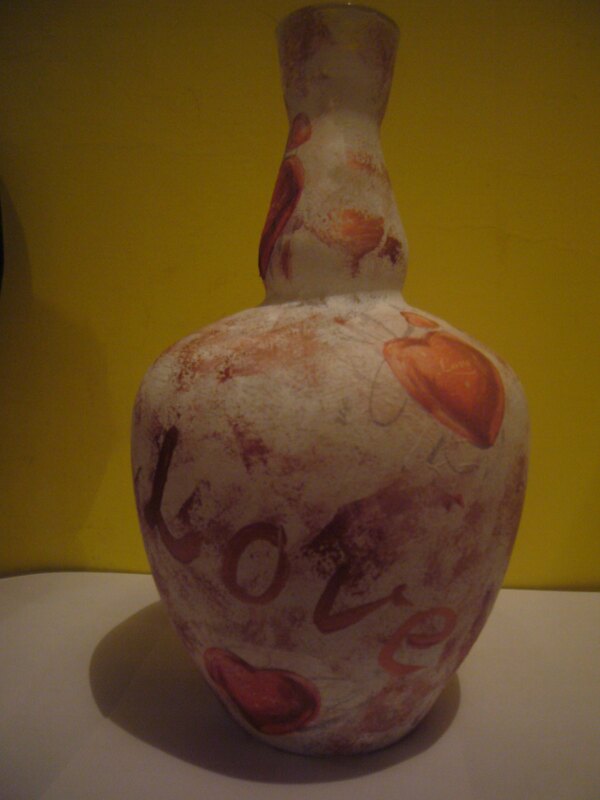 This entry was posted in Crafting Tutorials, Decoupage ideas, Uncategorized and tagged crafts, creative tips, creativity, decoupage, decoupage how to, decoupage ideas, decoupage on glass, DIY, handmade, home decor, housekeeping, soviet vase, valentine day gift vase, vintage vase. Bookmark the permalink.